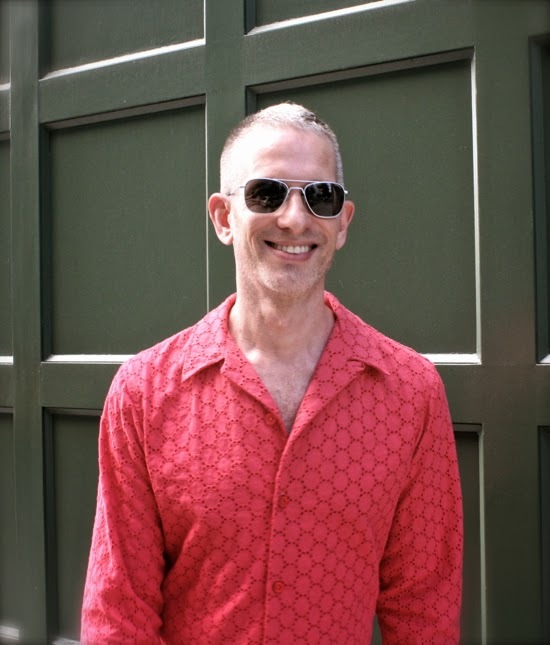 This July, I’ve been working on a summer ensemble for my partner, Michael. We visited Mood Fabrics together in late June and Michael picked out four fabrics he liked which fit his “Autumn” color palette. 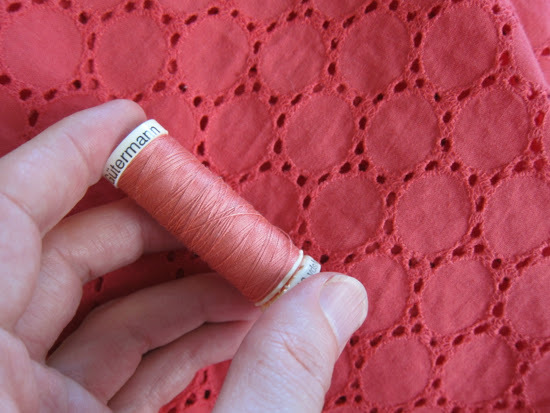 One of them was a beautiful deep coral cotton eyelet, a fabric I had never worked with before. 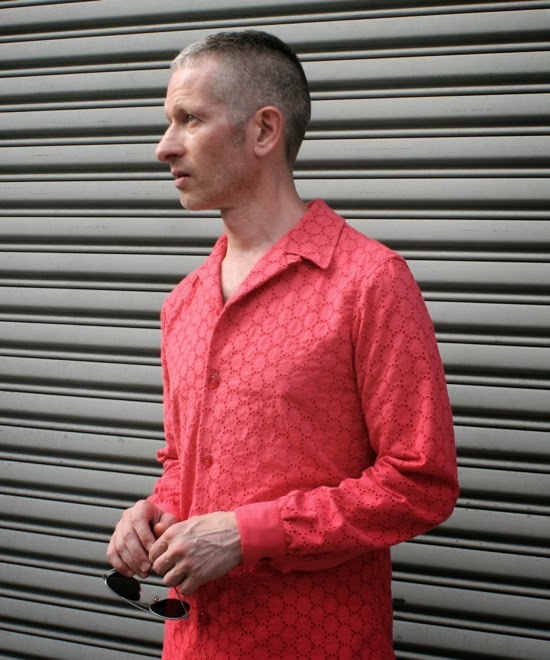 Editor’s note: We have a great selection of cotton eyelets in both our stores and online here. 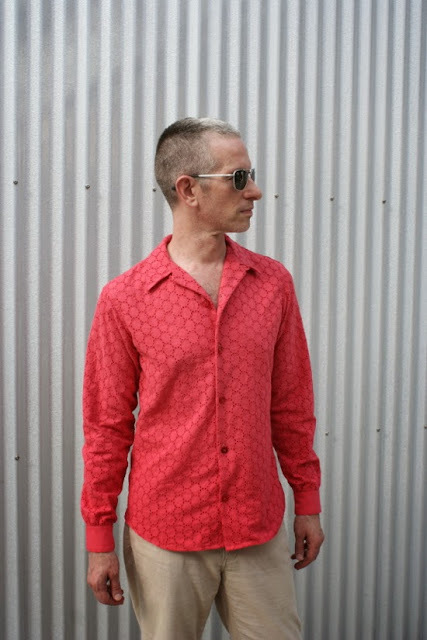 I decided to use the eyelet to make Michael a summer shirt. 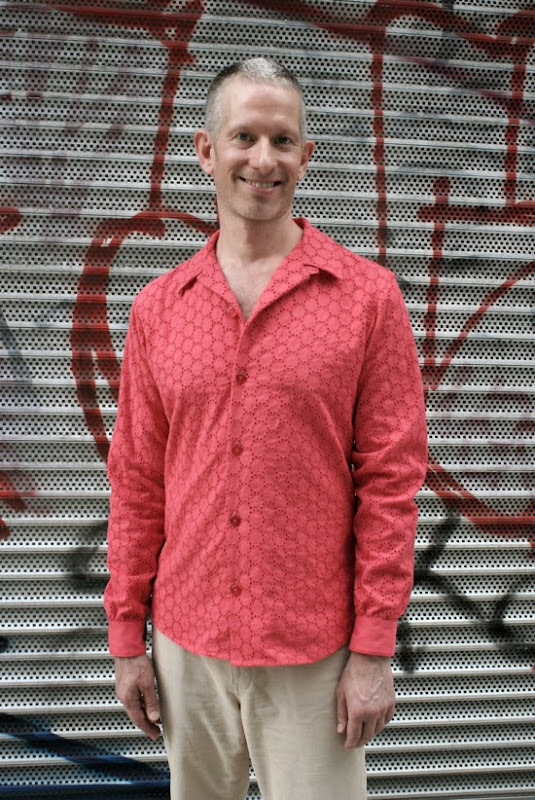 Michael chose the Colette “Negroni” pattern, which makes a vintage-inspired camp shirt (i.e., no collar stand — similar in style to bowling shirt or a Hawaiian shirt). 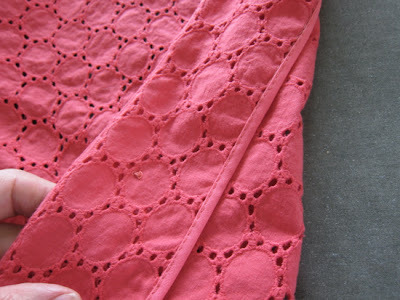 The eyelet was surprisingly easy to work with despite its lacy appearance: no stitching issues whatsoever. 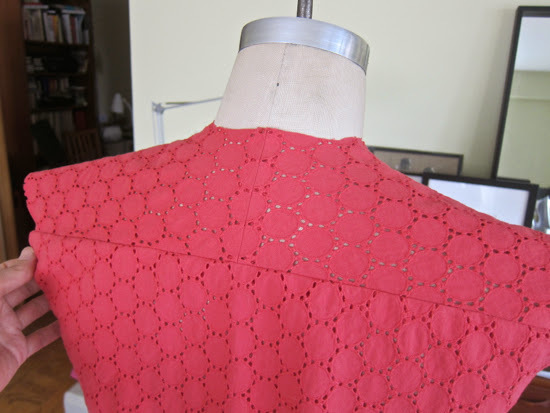 I’m particularly proud of the back yoke, which I split and cut on the bias to play up the oval pattern. 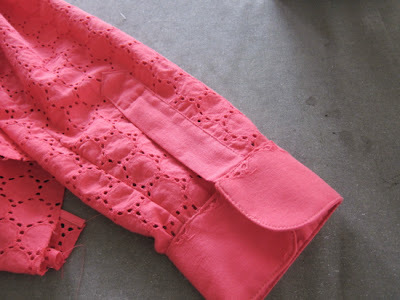 There was a wide selvage on both sides, which I was able to use for the cuffs and sleeve plackets and which provides a pleasing contrast to the eyelet. 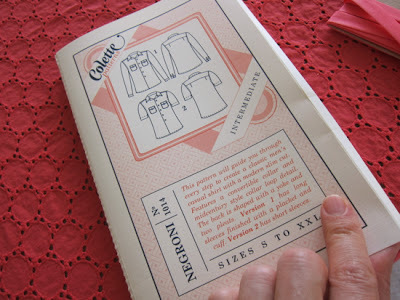 I was fortunate to have matching double-fold bias tape in my stash to finish the edges of the front facings, as well as matching vintage plastic buttons. 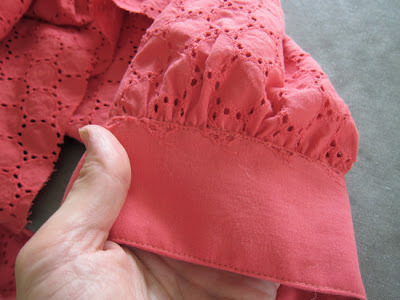 I interfaced the left facing (where the buttonholes go) with transparent silk organza. 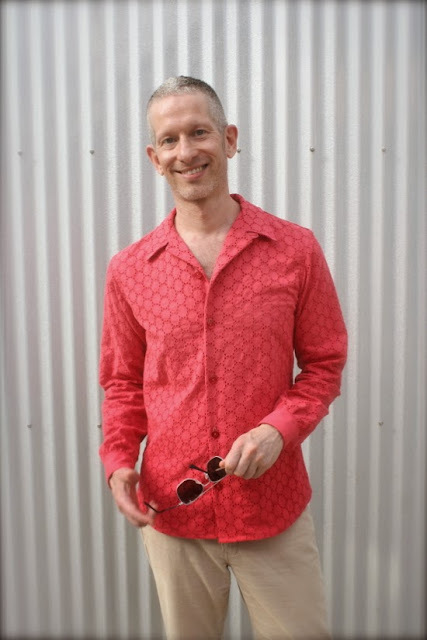 Michael loves the shirt and the color really suits him. 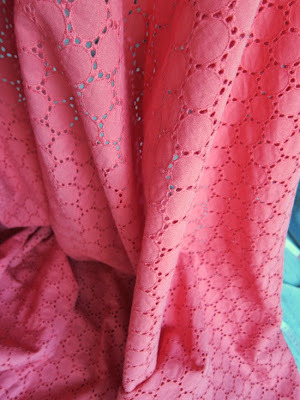 Cotton eyelet is perfect for a summer evening out. 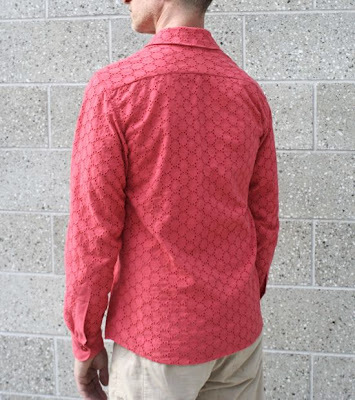 While the shirt is casual in style, the lacy texture gives it a special elegance. And the color — which can look orange or salmon or even coral depending on the light — is like a refreshing glass of pink lemonade. And here in New York City this July, we could use some of that!